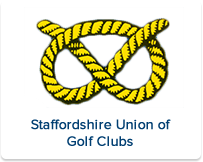 Honours :: The Union exists to promote golf in the County and to provide competition for the top county players as a route to Midland and International golf. (Frank Scarfe Salver) South Staffs G.C. South East: Whittington Heath G.C.